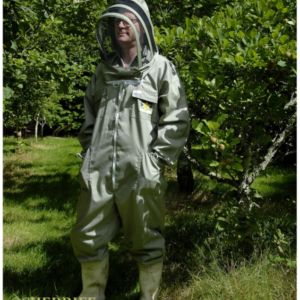 When approaching your beehives, you want to be well covered with no vulnerable bits for nasty natured bees to take advantage of. 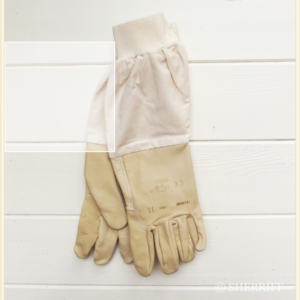 (I know there are lots of beekeepers who scorn the protection of gloves and veils. However, for the rest of us it greatly adds to our enjoyment of beekeeping to be able to work our hives with confidence). 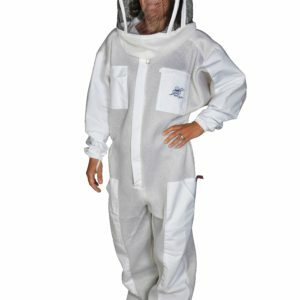 It is important to find a comfortable, well-made beesuit in which you feel safe with the maximum visibility. We can guarantee this with our Sherriff suits but not everyone is convinced of this so we have options. 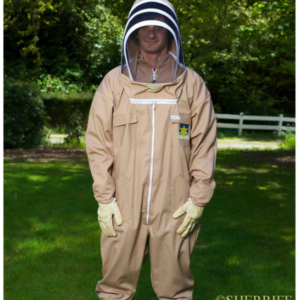 Our Thomas Apix-Air beesuits and jackets are a superior made ventilated style suit that will keep you covered and comfortable. For those who like plenty of padding between them and the foe, we suggest our green foam ventilated suits. Our economy regular suit is fine for the purpose as well. 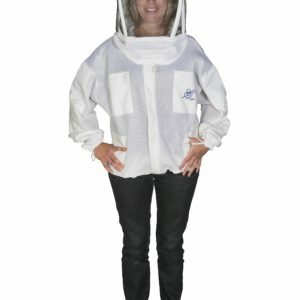 Due to the clarity of the mesh, many beekeepers like our Handy Hood as the visibility is so superior. This is especially useful when doing queen work or checking your brood. With gloves there is a wide selection. They are a very personal choice. Some like a less bulky style so they can feel what they are doing while others prefer a thick gauntlet. It is ideal if you are able to come to us and choose your gloves from our selection. Otherwise let us know the size of your clenched fist (not including the fingers) and we will work out the correct size for you. 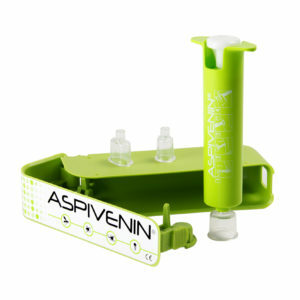 Aspivenin is a very handy kit to have available. It is useful for all types of stings and removes the venom with a simple sucking action. Apifuge bee calm aerosol is a handy product for using when you wish to deter bees from attacking. 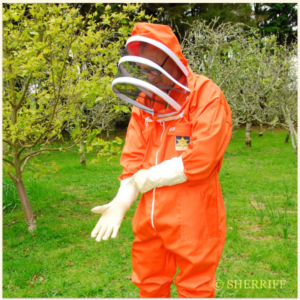 Simply spray on clothing and hands to ensure the bees won’t bother you. 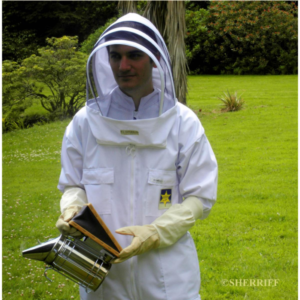 This product is a great idea for those involved in transporting bees by helicopter where they are unable to wear a suit due to safety and visibility reasons.